, : Gain one mana of any colour. I find Spire of Industry and Prismatic Lens odd choices for Daretti. What do you need any color of mana for? 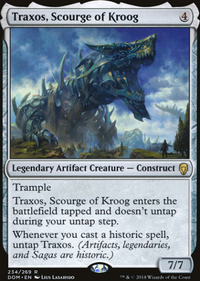 One card I can recommend is Combustible Gearhulk . It's great for card draw and sometimes big damage because of the decks high CMCs. 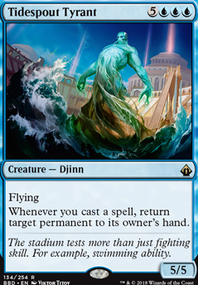 Temple of the False God for that sweet sweet colorless mana. I would suggest running some more mana rocks since Boros ramp is lacking. 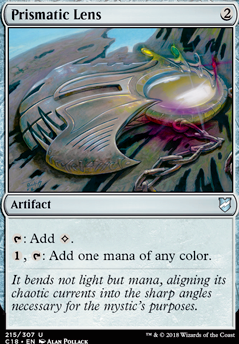 Colorless ones like Prismatic Lens or Thought Vessel would work. They would give your vehicles a considerable speed boost. 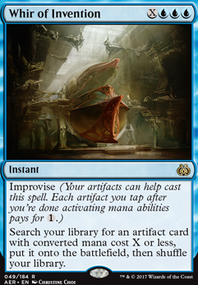 Probably mana production would rely on things like Ancient Ziggurat and Prismatic Lens right? ToolmasterOfBrainerd do you have an address in continental US? I'd be willing to send you and of the 10 cent equivalents that are better. Wanna see my wares? Llanowar Elves , Golgari Signet , Prismatic Lens , literally anything better. I think if you are so poor you can't find the 10 cents to replace them, it becomes a tax-deductible donation, so it won't cost me anything. "Yes, price. Rampant Growth is ~20 cents right now. 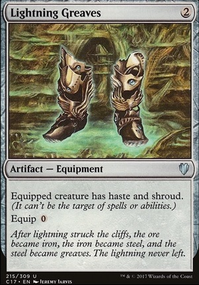 Sure Gruul Signet , Golgari Signet , Simic Signet , Prismatic Lens , Llanowar Elves , Fractured Powerstone , Moss Diamond , Growth Spiral , Explore , Coiling Oracle , Broken Bond and tons more examples are equal to it or cheaper, but I am aware someone will bring it up." I am very sorry all of the local game stores have had buyouts of the above, quoted cards. It is a real shame to know that you also aren't within the world that tcgplayer, card kingdom, or cfg will ship to. 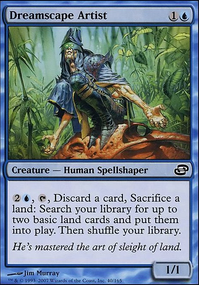 I'd recommend running an additional land to the decks that run the growth. Thank you for your response. But seriously. No possible replacements?